My recent rant about Omni-channel created some interest. Like me, most marketers cannot understand why common sense needs a buzzword. It doesn’t matter if you’re selling stuff in the analogue or digital world, you always ensure consistency of imagery, message and service. It is common sense to do so – and doesn’t need a label like Omni-channel for digi-sake. Most of those who relish digi-buzzwords also naively claim any media channel that existed prior to the arrival of the internet, no longer works, or is irrelevant – some pompously call these channels old-fashioned. Imagine if these digi-tossers consulted to Ikea – one of the world’s most profitable marketers (they made around 4 billion Euro last year). If Ikea listened to these digi-spruikers they would be out of business. 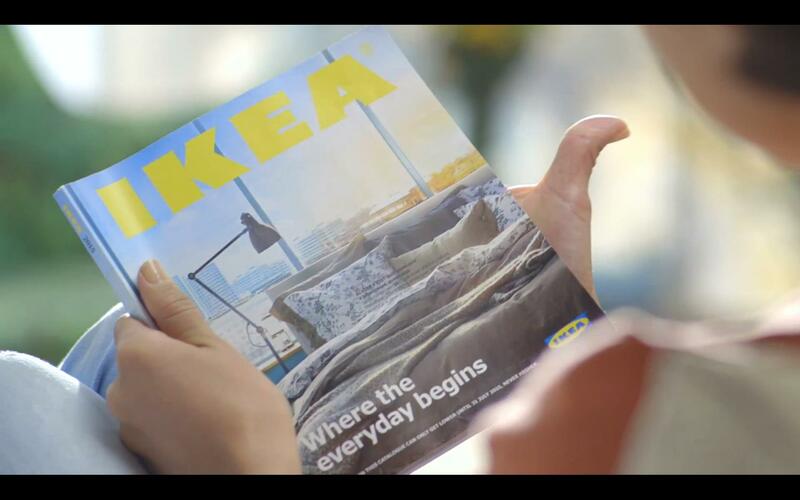 There’s hardly a person in the first-world that has not seen the printed Ikea Catalogue – it has almost reached icon status. And it’s the key to the company’s marketing success. A quick background – the 2013 edition was more than 300 pages, with 12,000+ products. It was printed as 62 different versions for 43 countries in 30 languages. Like many successful retailers, Ikea understands the power of paper over pixels. They also understand how to use pixels to make their paper work even harder. The brilliant Ikea Social Catalogue is one example. 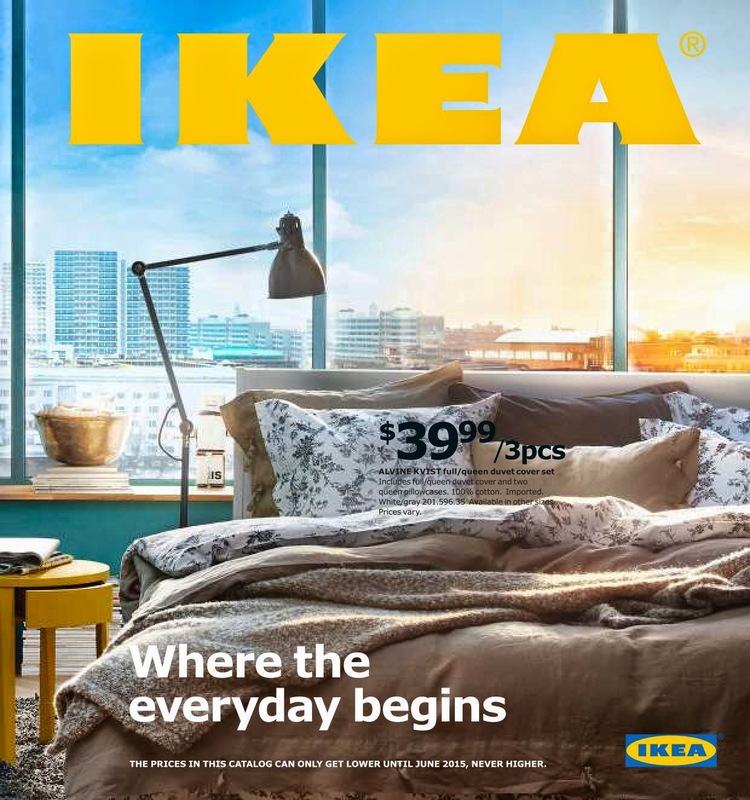 Ikea invited their social media Followers, to upload a photograph of the page in the catalogue with their favourite product to Instagram, for a chance to win the product. Thousands of pages were uploaded and within 4 weeks every product in the catalogue had been photographed and posted. They call it the Social Media Edition of the catalogue and all it costed was a few weekly prizes and some head hours. 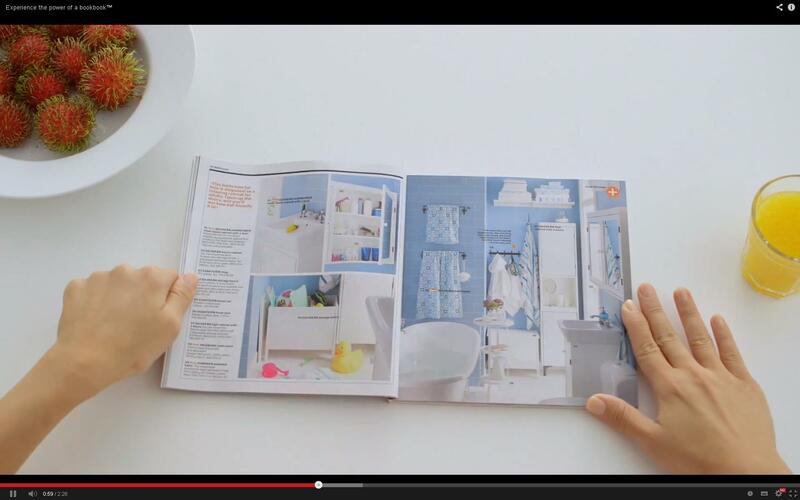 And recently Ikea launched the amazing new bookbook – which they have trade marked. It’s already had around 10,000,000 views online. This incredible piece of technology has no internet or power cables and the battery lasts a lifetime. The content is pre-installed with 328 high definition pages featuring thousands of products. And navigation is easy – just use your fingers. You can bookmark favourite pages and share the bookbook easily with others. 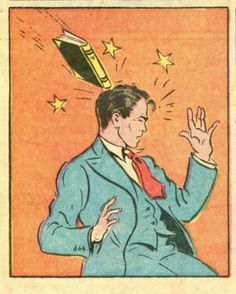 Yes dear reader, you’ve probably already guessed, the bookbook is the 2015 Ikea Catalogue, hot off the printing press. Once again it will help them sell billions of dollars worth of products – and it will be supported by digital and analogue channels to create even more sales. 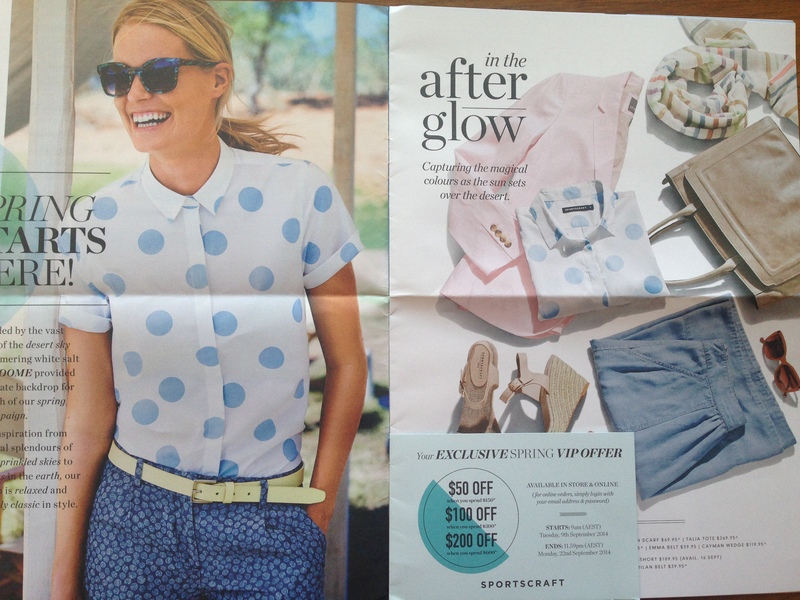 And continuing on my fashion retailing theme – here and here, the Sportscraft catalogue arrived in the mailbox this week, complete with VIP offer. Another smart retailer using paper for profit. So if you suffer from a digi-spruiker trying to convince you the only channels you need to use are the digital ones, here’s a suggestion. You can then leave them the catalogue, so they can do some virtual shopping. 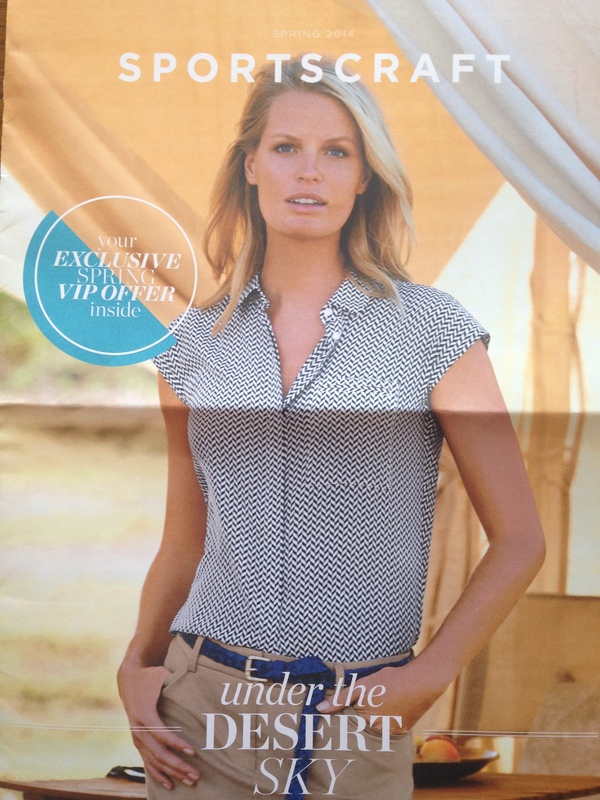 After all we’ve been virtually shopping by catalogue since the mid-1800’s – how terribly old-fashioned of us. It’s an eerie feeling reading your own thoughts so eloquently expressed by another, so regularly, on so many topics. And whilst I’m now thoroughly used to being the odd one out in my preference for common sense, it’s comforting to know you’re not completely on your own as you battle your way back to the bedrock of reason against the pressing throng of mindless marketing lemmings rushing toward the seductive siren call of the latest, hottest precipice. There’s much to be said for being an explorer — either through necessity, curiosity, initiative or just having been around long enough (but still young enough to remember). Having long ago peered over the edge at the glittering, treacherous depths far below and concluded that the prospects for success are remote down there on the rocks and crushing swell, it can be bewildering to suddenly find yourself surrounded by frenzied waves of the ignorant and inexperienced headed in the opposite direction, hell-bent on following fashionable trendiness. What saddens me most is knowing, from long experience and observation, that those pointing them in that crazy direction either don’t know what they’re doing (clueless, self-appointed “thought leaders”) or else they know exactly what they’re doing (cynical, venal “gurus” who make sure that they swipe their victims’ credit cards or cash before revealing the location of that new-found Marketing Nirvana). Eloquently written john, and you’re right. The ‘thought leaders” are usually digi-DJs, spinning examples of other people’s work to make themselves look good – they rarely have hands-on experience themselves. And the gurus know how to get you to part with money in the hope the new nirvana will make you a fortune. If more people studied the techniques of the gurus, rather than listen to the content, they’d learn more.